GeoGebra is a fantastic tool for demonstrating geometry, algebra, and calculus concepts. (The statistics package is getting pretty good, too.) But I think the hardest part is imagining how to use the program effectively to really demonstrate concepts. Here are eight demonstrations you can download from me, or watch my videos to figure out how to make them yourself, geared to teaching calculus concepts. 1. I can't quite get the gifs to synch, but the GeoGebra allows the students to look at a composite function for the values where its derivative is 0. The two functions are graphed side-by-side, and students can manipulate the input, see the change in the inside function, and then watch the outside function change. Of course, the crucial concept is that the derivative of the composite function will be zero when either the inside function or the outside function has a derivative of 0. Here's link to construction 1, and the video on its construction. 2. Another important concept is understanding that the limit of the Riemann sums approaches the integral as n goes to infinity. The neat part in GeoGebra is that your function can be any squiggle you draw. Here's the link to construction 2, and the video on its construction. 3. Of course, the most important idea in a calculus class is the fundamental theorem. Students find the fact the f(x) is discontinuous but F(x), the integral of f(x), is continuous challenging. Many students will not, at first, correctly identify that F(x) is continuous but not smooth at 2. Even more students think that the behavior of F(x) at 6 will be more obvious. Here's the link to construction 3, and the video of its construction. 4. I like this demonstration of Euler's method. GeoGebra is making 100 points using Euler's method. Students can move the initial point around to see how changing the initial value gives them a different particular solution. Here's the link to construction 4, and the video of its construction. 5. This isn't a calculus concept per se, but I love the baseball problem. 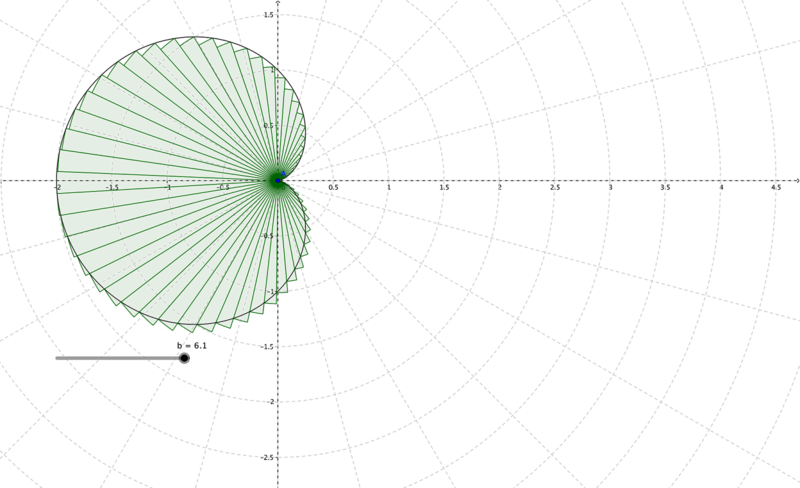 It's a great refresher for students on how to do parametric graphing. I set this up so my students could manipulate the windspeed and the angle to figure out the maximum distance a baseball can travel. Here's the link to construction 5, and the video of its construction. 6. A topic worth reviewing for B.C. Calculus: polar graphing. It is difficult for students to grasp. 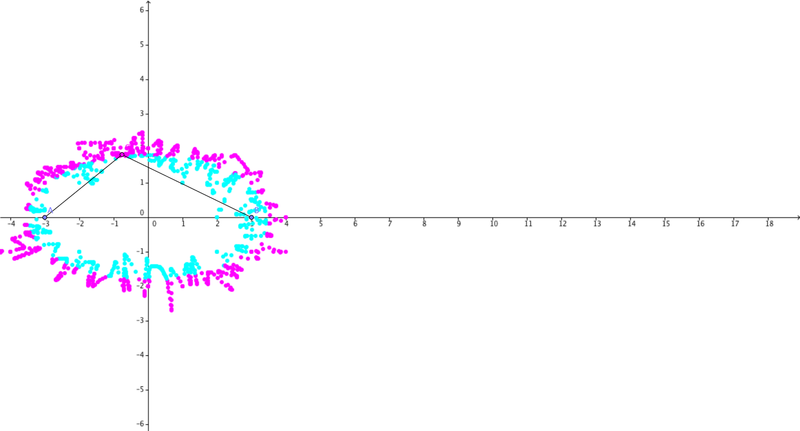 Even more challenging is visualizing the area integral, but setting up this Riemann sum helps! Here's the link to construction 6, and the video of its construction. 7. Perhaps the hardest concept of all for students to grasp in an introductory calculus course is Taylor polynomials. This demonstration allows students to see that the error bounds grow smaller each time as the degree of the Taylor polynomial increases. Here's the link to construction 7, and the video of its construction. 8. OK, also not a calculus concept, but a fun one: the ellipse appears from using the definition that the sum of the two distances to the foci is fixed. Here's the link to construction 8, and the video of its construction.